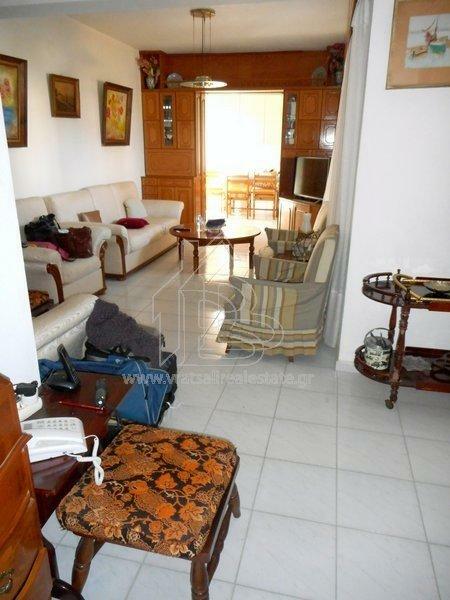 For sale quiet detached house 103 sq. 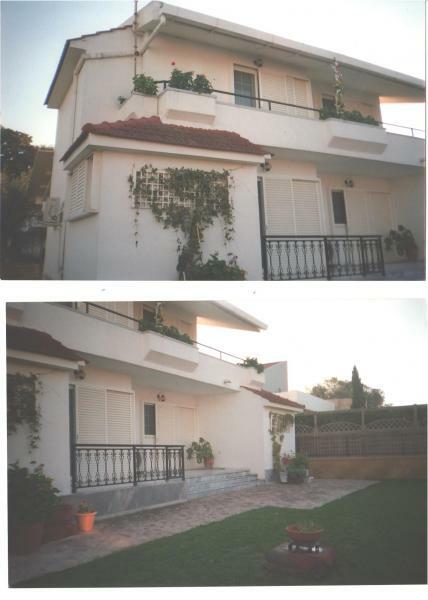 m οn cul-de-sac (Ground Floor 55 sq. m and 1st floor 48 sq. m) with 1.5 bedrooms, living room, kitchen, 2 bathrooms, garden with automatic irrigation and installation to reuse water for irrigation, water well, large covered terraces on both floors, electric awnings ground floor, garage for one car. Within the plot there is also a separate stone from 1940 renovated house 1 room with fireplace. This property is located on a plot of 800 sq. 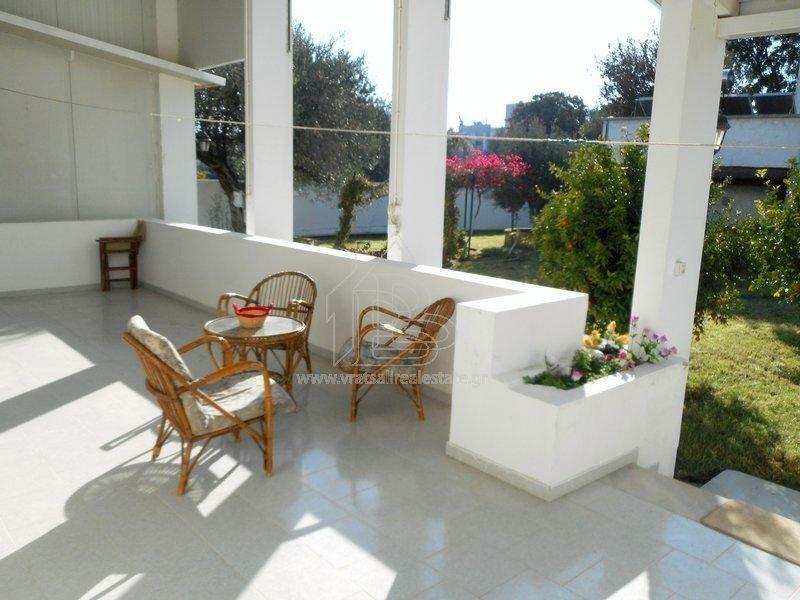 m in a quiet location in Ialyssos 800 meters from the beach. Open Plan, fully furnished including household goods and books, TVs, videos, garden equipment, stereo, fully equipped kitchen, A/C and heating in all rooms, solar for hot water, wooden staircase and plenty of storage. 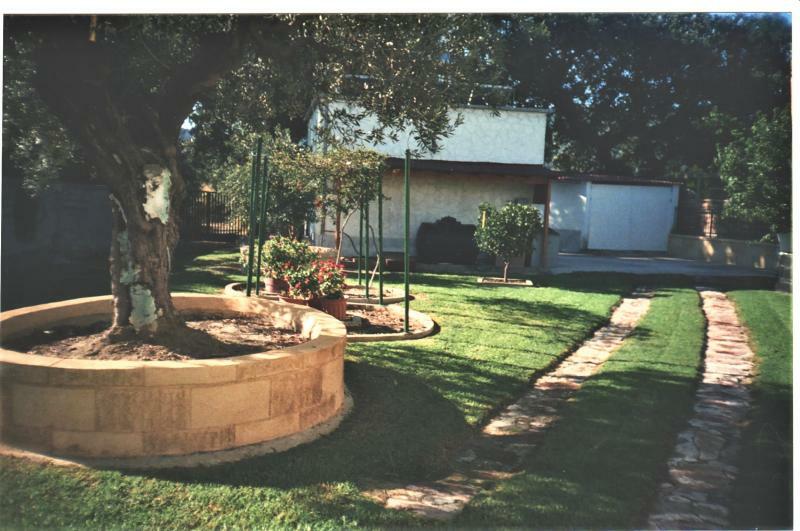 Front garden with grass, back garden with grass, olive trees, orange, mandarin and lemon trees.